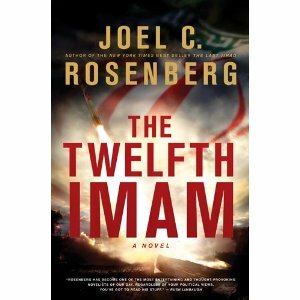 New thriller, "The Twelfth Imam," now available for pre-sale. Thanks for all the people who have been emailing me about when my next book will be out. I am glad to be able to announce that the next one will be a novel — a geopolitical thriller — entitled, The Twelfth Imam. It releases nationwide on October 19th with a national book tour. It is now available for pre-order on Amazon, Barnes & Noble, CBD, as well as your local book and Christian retailer.The Twelfth Imam is the first in an entirely new series — new characters, new threats, and several new questions I’ve been wrestling with: 1) What if the world waits too long and Iran actually acquires nuclear weapons? 2) What if the Islamic messiah known as the Mahdi or the Twelfth Imam actually comes to earth? What would that look like? What would happen? Would it be consistent with Jesus warning in Matthew 24 that false messiahs will come in the “last days”? House Republicans Giving Green Light for Israeli Strike on Iran — Congressional resolution introduced by Rep. Louie Gohmert of Texas would support “all means necessary to confront and eliminate nuclear threats posed by Iran”, including military force. It is not often a reporter publicly thanks a former terrorist for helping him to give his life completely to Jesus Christ. But it happened this week. That’s why I commend to you this week’s edition of “Stakelbeck on Terror.” CBN reporter Erick Stakelbeck profiles Tass Saada, a “former Palestinian Muslim sniper who used to work for terror master Yasser Arafat-but now works for Jesus.” Stakelbeck interviews Saada and explains how this one-time radical Muslim “put down his gun and learned to love his greatest enemy: Israel.” Then he publicly thanks Saada for his book, Once An Arafat Man, and shares how reading that book and interviewing Saada led Stakelbeck to a personal relationship with God through faith in Jesus Christ. To watch the program online, please click here. On Thursday in Denver, July 29th, Joel will be speak on U.S.-Israel relations, the threat of radical Islam, Bible prophecy, and events/trends in the epicenter. Tickets are $25. Seating is limited. To pre-order the DVD collection of the speeches/presentations at the 2010 Epicenter Conference, please click here. UPDATED: “Iran expects the United States to launch a military strike on ‘at least two countries” in the Middle East in the next three months, Iranian President Mahmoud Ahmadinejad told state-run Press TV,” reports Reuters. “In an interview recorded on Monday, Ahmadinejad did not specify whether he thought Iran itself would be attacked nor did he say what intelligence led him to expect such a move. The United States and Israel have refused to rule out military action against Iran’s nuclear program which they fear could lead to it making a bomb, something Iran denies. ‘They have decided to attack at least two countries in the region in the next three months,’ Ahmadinejad said in excerpts broadcast on the rolling news channel on Tuesday. The European Union passes unprecedentedly tough Iran sanctions: The EU passed sanctions today that surpass the UN’s Iran sanctions and all previous European measures. As Tehran’s largest trading partner, the EU is likely to make a serious dent economically. The ‘unravelling relationship’ between Russia and Iran — Russia and Iran seemed to be good friends, but in recent weeks the relationship has unravelled. WHY HASN’T ISRAEL BOMBED IRAN (YET)? Despite rumors of war earlier this year, it doesn’t currently look like Israel is about to launch a preemptive strike against Iran this summer, despite the fact that Iran is dangerously close to getting nuclear weapons. Anything is possible, of course, but many people are wondering why Netanyahu hasn’t hit the mullahs and their atomic program already. The main reason, I believe, is that evangelical Christians around the world are praying for the peace of Jerusalem according to Psalm 122:6, and the Lord is staving off war in the epicenter for now. In that context, there are several interesting geopolitical dynamics worth considering. “Why hasn’t Israel bombed Iran yet?” asks Wall Street Journal editorial writer Bret Stephens in a column earlier this week. “It’s a question I often get from people who suppose I have a telepathic hotline to Benjamin Netanyahu’s brain. I don’t, but for a long time I was confident that an attack would happen in the first six months of this year. Since it didn’t, it’s worth thinking through why.” Stephens is a former editor for the Jerusalem Post and a solid Mideast analyst. His take is worth considering. Meanwhile, Time magazine’s Joe Klein has written a column this week suggesting the military option against Iran is back on the table inside the Obama administration. Not entirely sure I agree with his take, but it’s worth noting. I look foward to addressing these issues in the context of U.S.-Israel relations and overall geopolitical and spiritual trends in the epicenter at a talk and Q&A I’m doing in Denver on Thursday, July 29th at Calvary Chapel South Denver. Hope you can join us. Joel will be speaking on U.S.-Israel relations, the threat of radical Islam, Bible prophecy, and events/trends in the epicenter in Denver on July 29th. Please click here to learn more or to purchase your ticket ($25) — seating is limited, so please register today! Today we remember the destruction of the First and Second Jewish Temples in Jerusalem. The Hebrew prophets, as well as the Apostles and Jesus Himself tell us to expect a Third Temple to be built in the last days. Personally, I believe this is not far off. 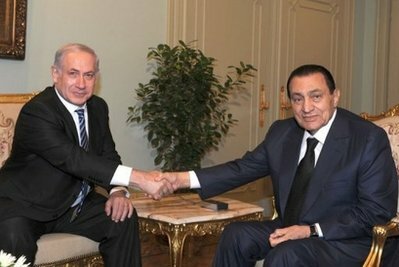 In the meantime, please be praying for Egyptian President Hosni Mubarak who is in very poor health. He and Netanyahu just met. It was a rescheduled meeting from about a week ago when Mubarak had to postpone. Please pray for the Lord to draw Mubarak to faith in Jesus Christ, as well as his son and his cabinet and advisors. Please pray for the Lord to have mercy on the people of Egypt, and that Egypt would be a true partner for peace between Israel and the Palestinians. Thanks. WSJ: Preventing the Next Lebanon War — Israel has released valuable intelligence on Hezbollah weapons placement. Will the U.N. and Arab governments act? I fully agree with my brother, Mosab. There should be no mosque at or near the 9/11 site. On Thursday night, July 29th at 7:30pm, I’m looking forward to a special evening at Calvary Chapel South Denver. The topic will be U.S.-Israel relations, Bible prophecy, and how powerfully the Lord Jesus Christ is moving in the epicenter these days. I will speak for about 45 minutes, and then we’ll have a 1 hour and 15 minute Q&A session. The event is a fund-raiser for Ministry Architecture, Inc., the ministry my parents run designing Christian training centers, orphanages, hospitals, and other facilities for evangelical organizations operating in developing countries. Please click here to learn more or to purchase your ticket ($25) — seating is limited, so please register today! >> Joel will be speaking on U.S.-Israel relations and events in the epicenter in Denver on Thursday, July 29th. Tickets are $25 and seating is limited. Please click here for details.